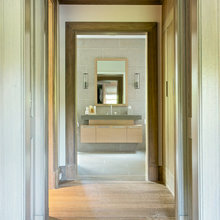 Imagine seeing your completed renovation or new-build project in life-like detail before you even start it! 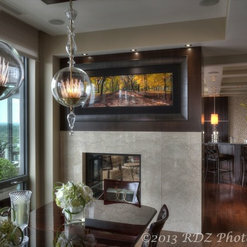 At Kendel-Dezoete Designs, we bring to life your vision in ultra-realistic 3D detail, allowing you to see the future! By focusing on a well thought out design first, we aim to eliminate the guesswork often associated with major projects and create a clear vision for all involved. This in turn enables a more organized and stress-free experience as trades and clients are all working from the same page, saving both time and money! 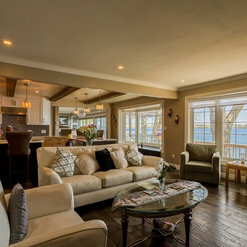 Our designs are carefully constructed implementing our client's insight, taste, and budget while also incorporating our 35+ years of experience to ensure a successful start to any project. By working with an independent designer there is no outside sales pressure affecting a proper layout and plan which may be limited by either a contractor's abilities or their product limitations. We also offer the option for our clients to have us oversee their project from start to finish to ensure the integrity of their design is maintained. We act on their behalf as liaison between them and their trades allowing for clear communication. Based on our comprehensive designs, we are then able to facilitate a clear scope of work for the project. This ensures more accurate quotes upfront and an easier apples-to-apples comparison between contractors and products. We also assist our clients in selecting and/or sourcing products and advising their choices so as to help adhere to their budget. 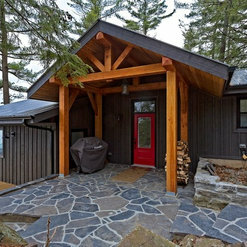 Get your project started on the right foot and contact us for your no-obligation in-home or online consultation. 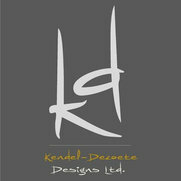 65 Projects for Kendel-Dezoete Designs, Ltd.
25 Reviews for Kendel-Dezoete Designs, Ltd. It was such a pleasure dealing with Brian and Mike. We had them come to our home to give us a quote on doing a major main floor renovation including knocking out walls and moving windows. They both listened to what it was were looking, did measurements and took our budget into consideration before presenting us with a proposal. Although we have not done the renovations yet, we will definitely be hiring Mike and Brian when the time comes. I would highly recommend hiring the Kendel-Dezoete for your next project. Professional, and courteous. When we decided to renovate our kitchen it was difficult to know where to go and who to hire. After meeting with other contractors who were just not on my "wave length" I read an ad in our local newspaper which brought me to meet Mike Dezoete. Immediately I knew that we were compatible and when he came to the house to discuss the project I couldn't believe just how much he understood just what it was I wanted. He made suggestions that I never thought of and accepted my ideas readily. Mike and everyone else who worked on this project were true craftsman. When there were repairs to be made to the old structure of the house, and there were several, they pointed everything out to us and brought things up to code and/or par. We were so happy with the work downstairs that we decided to have the upstairs renewed including a complete overhaul of the ensuite right down to the framework. Once again Mike brought new ideas to the project giving us the most beautiful final product. Everyone connected with this renovation was skilled, knowledgeable, extremely proud of the work they were doing and kind and considerate of my constant presence. We would not hesitate to hire Mike and his crew again and would highly recommend them, as we have several times. Mike and Brian are very helpful and have excellent design ideas and vision. 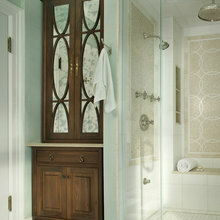 Their attention to detail and experience is very helpful in making design decisions. Thanx Bob! Working with you and Kris has been a real pleasure. 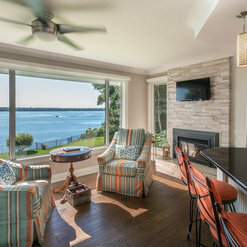 We appreciate the opportunity to help you realize your vision for the condo! 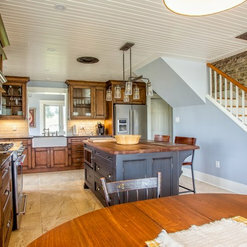 By the time we found our way into the Heritage Kitchens showroom we were overwhelmed with the process of building a custom home. Some many decisions, so many delays, so many dollars! We were at the point of just wanting to throw up our arms and run away from it all. And then we met Mike Dezoete. Mike made the whole experience fun and energizing. He asked all the right questions to get a feel for what we were looking for and walked us around the showroom so we could give him an idea of the type of finishes we liked. Within a week, Mike had a first draft ready for us. The design program Mike uses renders the design so realistically that the views looked like photographs of an already built kitchen. And he knocked it out of the park! We were thrilled with the ideas Mike put into our kitchen design. He included several things we didn't think of and maximized the number of cabinets possible for the space. 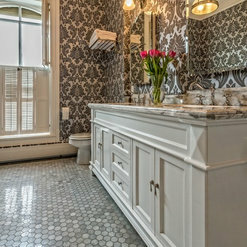 We were so impressed with Mike's kitchen design that we asked him to design the guest bathroom, master bathroom, and laundry/closet area as well. These all turned out to be beautiful spaces too. 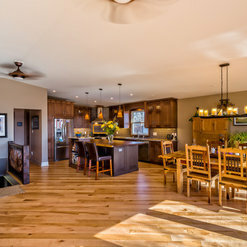 By far, our experience with Mike and Heritage Kitchens has been the most fun part of building a custom home. Mike took all the decision-making responsibilities and made it easy for us. His eye for design and attention to detail is impeccable. The installing crews did an excellent job. Very skilled craftsmen! The final product is amazing (and looks almost exactly like the computer generated renderings). We are extremely pleased and highly recommend both Mike Dezoete and Heritage Kitchens. Thanx so much Marilyn! 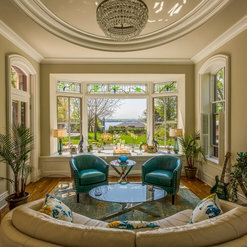 It was a pleasure to work with you two on this very unique home. Thank you for the opportunity to help bring your vision to life. I am proud of what we did there and hope you have many memorable years to come! If you ever have the itch to do it all again.....let me know!! 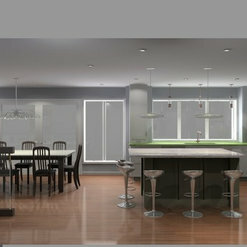 Working with Mike, was fun, creative and he helped me expand the possibilities of what a modern kitchen could really be. I had an idea and with Mike's vision, knowledge and input on design and materials that could be made available, my kitchen came to life. I am amazed at the amount of cupboard space available, my goal was useful counter space, achieved. The bling touches (as Mike calls it) were worth every cent. Thank you Mike, I love my kitchen. My wife and I asked Brian Kendel to help us with two projects over the last five years. 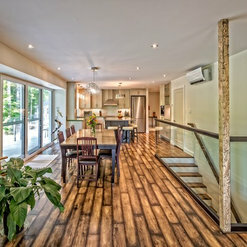 The first involved renovating the loft of an 1800's limestone building. From the ground up Brian designed and renovated a kitchen, bathroom, walk-in closet, loft sleeping area, laundry, bar and fireplace. The second smaller project involved designing custom cabinetry for four rooms in my office. Both projects went seemlessley and turned out beautifully. Brian's designs were wonderful and since they lie at the heart of every project we felt they were vital. The work was carried out with the bare minimum of stress and we were approached at all times for direction and consultation as required. We were kept apprised without being overwhelmed. The quality of the workmanship and the painstaking effort was beyond reproach. I would highly recommend Brian without hesitation and look forward to a spectacular finished product without undue stress. 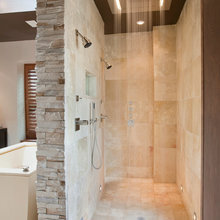 Brian has worked with us on many renovation projects over the years. He is always efficient, insightful and honest. He understands exactly what we are looking for and is very forthright in suggesting what will and will not work. He shows great attention to detail and is extremely creative. We couldnt be more pleased with our office and look forward to working with him in the future. We continue to be thankful and extremely pleased with our cupboards and the service we received from Brian. No detail was too small for his consideration and care. Our guests always ask what company we used and we don't hesitate to sing the praises of Brian and his staff. 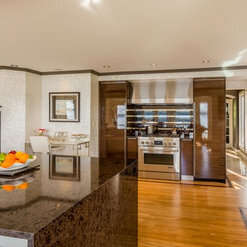 Brian Kendall managed our kitchen reno from start to finish. It was a smooth and very positive experience. He is a very creative designer and presented many wonderful ideas which we would never have come up with on our own. But he was also very quick to understand our design priorities. His grasp of our preferences allowed him to refine the number of choices he presented for the many decisions that had to be made, making the whole process less overwhelming for us. By the time we chose the backsplash, he showed us 2 ideas and 1 was perfect, as he knew it would be! Realistic timelines and costing details were presented and met. Brian managed all aspects of the planning, deconstruction and construction, working well with all contractors involved, always pleasant and collaborative, but definitely in charge. Any issues that arose were resolved quickly and successfully. We also appreciated Brian's response to the small issues that arose after the project was completed -- each resolved quickly, pleasantly and completely. What resulted is a beautiful kitchen that we absolutely love. We would recommend Brian to our friends with complete confidence. 55 Ideabooks for Kendel-Dezoete Designs, Ltd. Commented: What company manufactured the wallpaper and what is pattern name?Hi @harlow4020, unfortunately, we do not recall the information regarding the wallpaper. Sorry we couldn't help. Commented: What color is this granite? ThanksHi mlcorder. This granite is actually a Cambria Quartz colour called Shirebrook. Commented: CabinetsHi buffalobunch, the wood is Knotty Alder, yes, and it has a slight ginger stain on it with a mocha glaze in the crevices. I believe the manufacturer was Kitchen Craft. Commented: Name of tileHi lynnmolhan, the wall tile is a 13&quot; x 18.5&quot; tile called Peroneta Wave White. It looks even better in real life! Commented: color of cabinet?Hi there, the colour is called Portabello and the cabinet manufacturer is Kitchen Craft (a division of Master Brand Cabinetry). 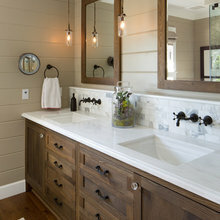 Commented: Love the cabinets (color & style). Rich lookingThank you very much. The cabinets are by Kitchen Craft, the door style is Marquis and the finish is Espresso.